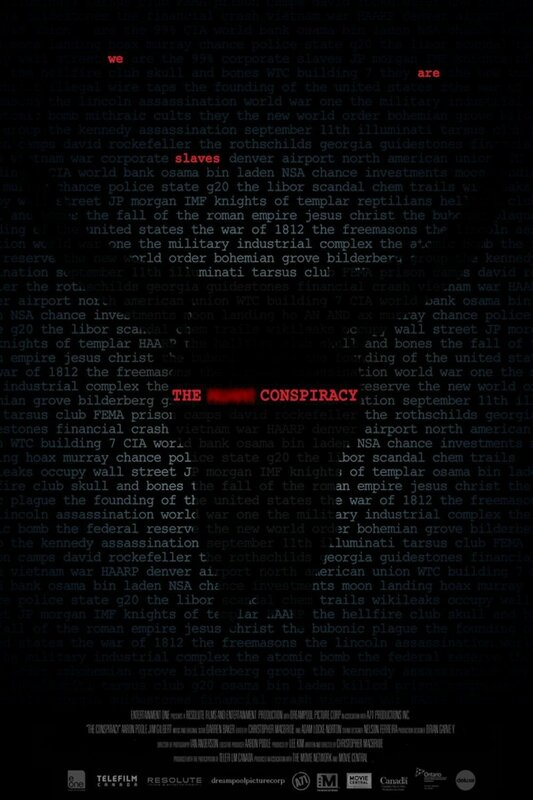 The Conspiracy Blu-ray release date was set for September 10, 2013. Two documentary filmmakers want to make a film about conspiracy theorists. They are intrigued by the people who subscribe to the theories and what makes them tick. They interview one by the name of Terrance. He lives in an apartment typical of this type of conspiracy thinker. In the midst of the interviews, Terrance disappears leaving behind a ransacked and destroyed apartment. One of the filmmakers, Aaron wants to salvage Terrance's wall of clippings and research while James has a wife and child to consider. He doesn't want to get involved in the world they've been filming to that degree. Against his better judgment, James follows Aaron into a world of disturbing images, stunning patterns and coincidences where there might just be some truth to the conspiracies.